Making positive change happen in communities requires the free flow of quality information. We need it to achieve the results we want in education, public safety, environmental protection, youth development -- and just about any other issue that we care about. If the news and information environment is in trouble, so is civic life. Community and place-based foundations across the country are recognizing that, in an increasingly digital world, credible news and information are among the most powerful tools they have to spark community change. Over the five years of the Knight Community Information Challenge (KCIC), more than 80 foundations have invested in various media projects -- strengthening local and state reporting, encouraging citizen dialogue and supporting digital literacy skills -- to advance their goals for a better community. 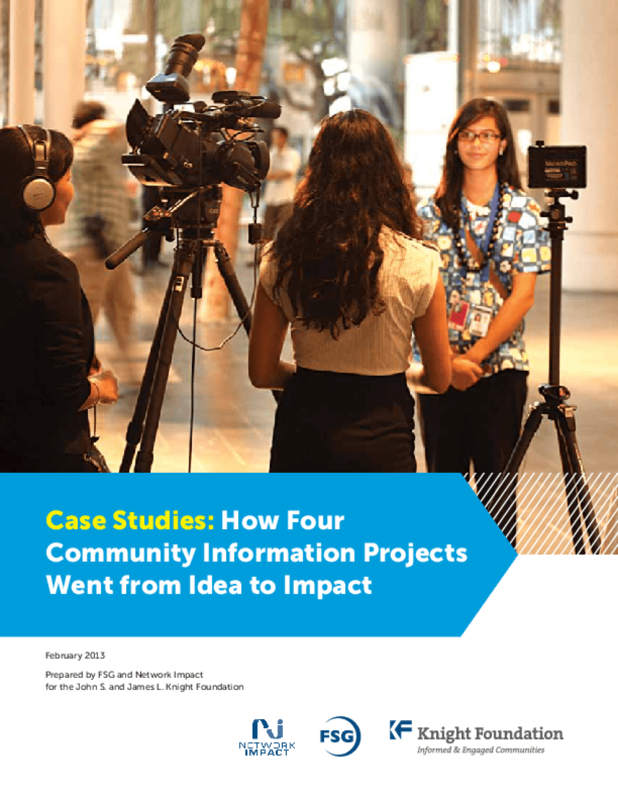 This report offers four case studies on how different foundations used information to improve the healthy functioning of their communities. The cases highlight the following: Why did each foundation support local media? How did it connect to their strategic priorities? What steps did they take to make their project successful? And what impact has it had on the issues they care about? Sharing these cases we hope provides valuable lessons for other foundations considering supporting local news and information efforts and broadening their commitment to using media and technology to engage residents.